These brownies NEVER disappoint. 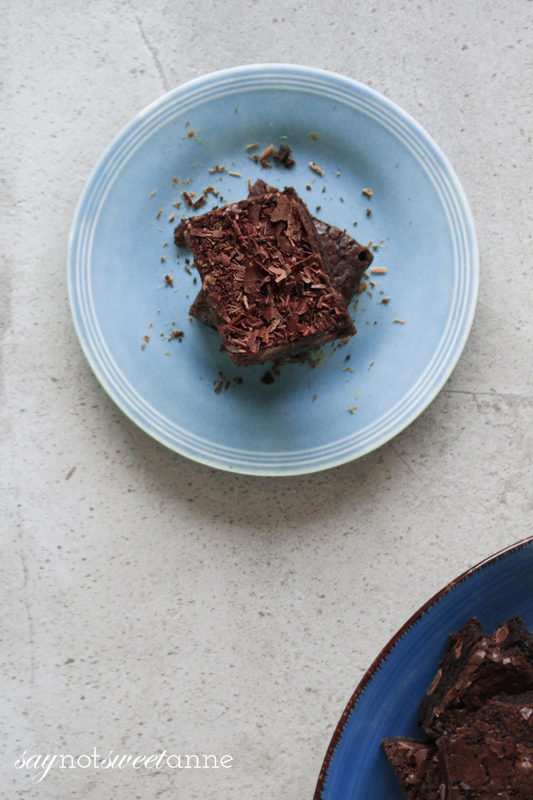 A dark chocolate brownie made with instant espresso powder and its secret ingredient…. dark chocolate bars! Now, for me personally I love the taste of a warm fudgy brownie without frosting. 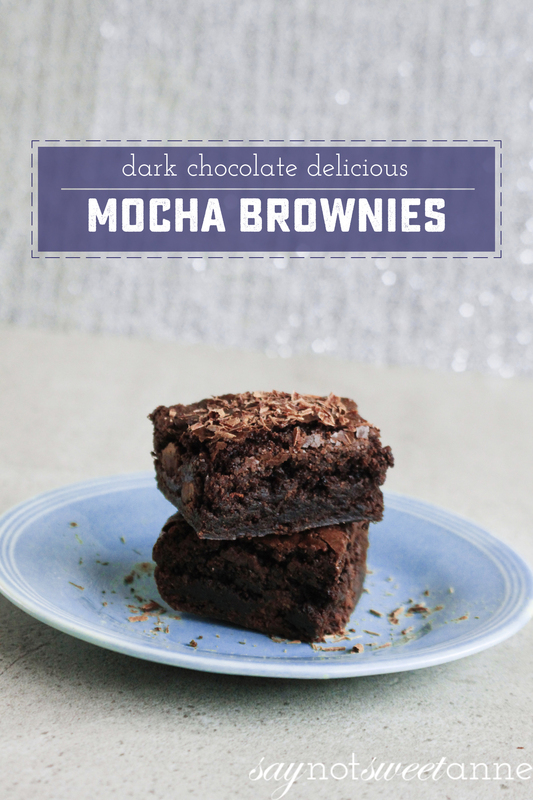 A good brownie doesn’t need frosting! The magic part of it all? 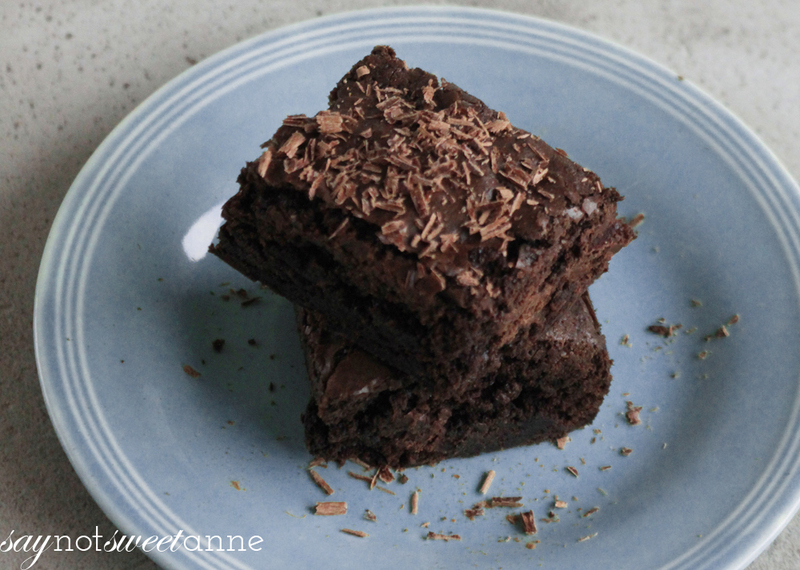 Well – this brownie is so good, it can get you out of some tough scrapes. You know, like when you have to tell your hubby you forgot to pick up his lunch before you came home from a day of shopping with the girls. This brownie might save not only your life, but your MARRIAGE! Chopped dark chocolate bar, about 5 oz, or 1 cup of rough chunks. Prepare an 8 or 9 inch brownie pan and preheat your oven to 300°. Combine eggs and sugars until well mixed in a large mixing bowl. To incorporate air and create a better texture, whisk vigorously until mixture is a shade lighter and appears fluffy. Sift together the remaining dry ingredients, and then add the dry to the butter mixture a little at a time until just combined. Gently fold in the chocolate chunks. Pour batter into your prepared pan and bake for 45 minutes. After 45 minutes, poke a toothpick into the center. If it comes out clean – you are done! You might want to test a couple of spots to make sure you didn’t hit a chocolate chunk.